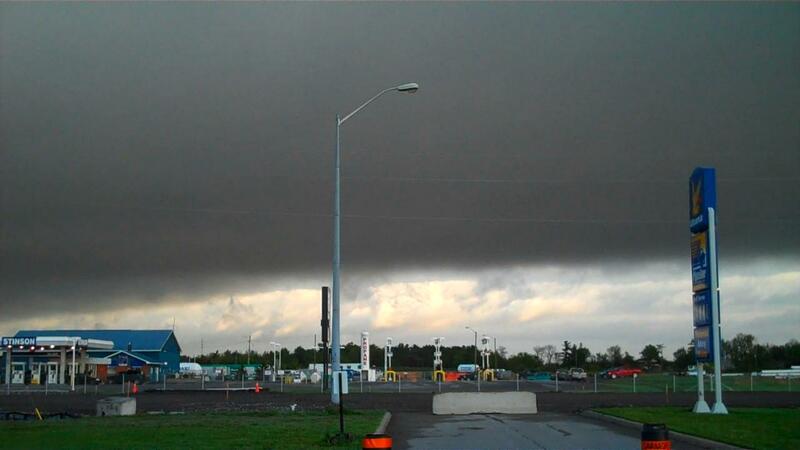 Very Large slug shaped dark cloud over Arnprior this morning. Thursday, May 6, 2010. I couldn’t get the whole cloud in a snapshot. It was weird. Shaped like a huge slug. Very dark cloud, heading for Ottawa? This was taken at about 7 am.